I was wondering if anyone has tried these seats? Adamo Typhoon is the one that I am interested in... 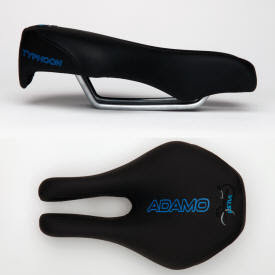 Please post comments on it if you have used this saddle and let me know what you think!!! I was hoping for a first hand review...oh well. I might just buy the typhoon model, it is $80 and if it is that good it will be worth it!